Sessions: Four co-ed camp operations -- Timber Lake, Tyler Hill, Timber Lake West and North Shore Day Camp -- eight-week, four-week and day camp. He oversees multiple operations from his New York headquarters. He is a leader in his industry. His business net worth is millions of dollars. He supervises hundreds of staff. He is innovative, creative, diverse and charitable. Being his apprentice would be a dream job. He's not Trump, but what The Donald is to real estate, Jay Jacobs may be to camping. Jay started out 37 years ago as a camper at the Timber Lake Camps (TLC) and has turned what was then a small, rustic camp in New York's Catskill Mountains, while adding three other camps like it, into a $16.5 million business. Simply put, the TLC mission statement is "teaching children the skills of making and keeping friends while building their self confidence and self esteem." STARFISH is the acronym that describes the formal, company-wide, character-building value system that facilitates the mission. It stands for Sportsmanship, Tolerance, Appreciation, Respect, Friendship, Integrity, Sensitivity and Helpfulness. About 12 years ago Jacobs began to aggressively assert these attributes into his program. He believes that during the busy school year there is little or no time for parents to discuss values with their children. Summer camp is the one time of year when kids are relaxed and open to experiencing different kinds of learning. "We make the camp environment a safe and fun classroom where the mission gets accomplished," he says. "These things are taught experientially." For instance, campers are not permitted to jeer or boo at the opposing teams during sporting events. This teaches the S value of Sportsmanship. And the T for Tolerance is a value discussed during bunk times stressing the importance of respect and getting along with those who may be different. In sports, coaches are taught not only to teach the skills of the sport, but to instill respect of the officials and the opposing team. Every staff member is trained to be mindful of the STARFISH value system, to exemplify these characteristics, and to implement them during everyday activities. Diversity is another key that allows the Timber Lake Camp operations to function on multiple facets. Out of four camps, three of the camps are sleep-aways that have lakes, sports facilities and modern cabins, while the other is a day camp serving the Long Island area. Athletics and artistic activities are very balanced. A strong competitive instructor-led sports program is provided at each camp that includes waterfront activities such as skiing, boating, sailing, and kayaking, while creative and performing arts that include an outdoor adventure program, gymnastics, and dance brings balance to the diverse program. The TLC staff is one of the highest paid in the camping industry. Jacobs believes that substantial salaries lead to better performing staffers, and it brings a larger pool of applicants from which to select. He says, "We used to compete with neighboring camps for the same staff, it was all about recruiting among a narrow group of people who could afford not to make a lot of money during their summer vacation." Many years ago he decided to compete with other major summer employers for the same college-age students. He raised his summer salary to compete with The Gap, Burger King or anyone else who would hire would-be applicants. He also made the salaries very enticing for teachers who take the summer off and could work at camp in the role as an adult supervisor. To increase staff proficiency, Jacobs hired a firm as a recruiting consultant to do a study of the best counselor competencies. Empathy, patience, compassion and other characteristics that were discovered became helpful in developing an interview process built around scoring and identifying an ideal summer employee. Overall, the pool of applicants was enlarged by raising salaries, and shortly thereafter, the selection process became perfected, and is now being implemented by the full-time staff. After selecting summer staff, the next critical mandate is training. The counseling staff undergoes a one-week training session at the beginning of the summer. Clear expectations and quality of performance is emphasized. "I ask staff on the first day of orientation, what do you think is my most valuable asset?" inquires Jacobs. Many would point to the dining hall, playhouse, or other structures on-site. "The correct answer is my reputation." Insurance and money can replace facilities, but there is no amount of cash that can replace a destroyed reputation, he explains. The staffers in training are challenged to upkeep and preserve the longstanding positive reputation. They have to protect it, and act aggressively to defend it. Staff quality control is maintained with a coaching and evaluation program. And three times throughout the summer, counselors meet with their supervisors for a scored evaluation. If they score above a certain point value, they receive a cash bonus immediately. "I haven't heard of anyone else doing this. We are a no-tipping camp, but we are a bonus camp," says Jacobs. The cash bonuses are given to high performing counselors from their supervisors who are evaluating their job and motivating them to exceed. 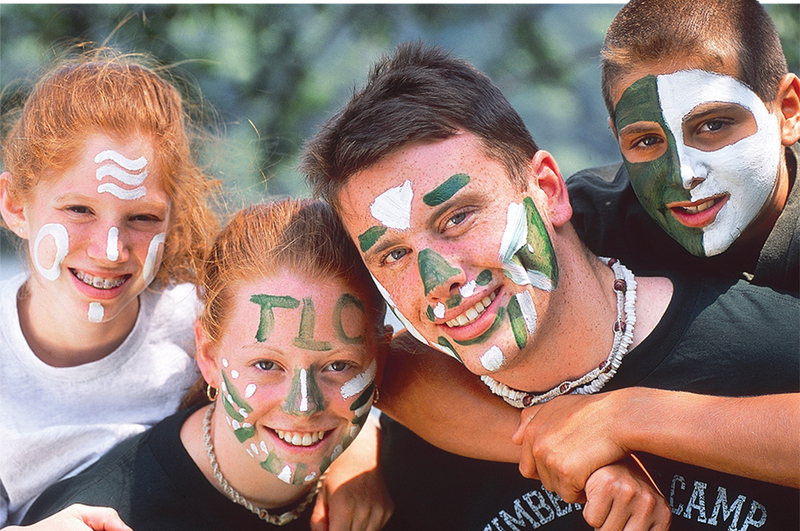 Since implementing the scored evaluation system and the cash bonus system, Jacobs has discovered that he retains many of the 150 Timber Lake Camp summer staffers and reenrollment has increased. Staffers feel valued and no longer complain of being underappreciated. Consequently, camper enrollment went up and the return rate skyrocketed -- 85-90 percent of campers return to the eight-week, while 75 percent of campers return to the four-week and day camps. Counselors were happier, kids were happier, and as a result, business boomed. In fact, they have seen an increase by about 25 percent over the past five years. The adult supervisory staff works extremely hard and has monetary motivation also. For them there is a profit-sharing program. The profit sharing is based upon criteria such as reenrollment by their own groups, reenrollment by the entire camp, and total expected enrollment. This data goes into a complicated formula that helps to divide 7 1/2 percent of the net profit amongst the summer supervisors. These supervisors are comprised mainly of school teachers. And it's a good deal for the 70 or so teachers who spend their summers as supervisors. Nowadays, the bonuses have reached a level where they exceed the full summer salary. As a result of the profit sharing motivation, the summer supervisors are active in following up with campers throughout the year and recruiting new ones. The staff feels like a part of the ongoing business and this helps to achieve the overall mission. "They work like a partner would, and in terms of profit they are partners," he comments. Due to training time restraints, the supervisory staff attend weekend training sessions held throughout the off-season months in order to prepare them to oversee and manage the summer counselors. Also included in these retreats are equipping tools to deal with children, supervision, motivational techniques, coaching skills, and more. Jacobs takes pride in the quality of his facilities. Having top-class facilities results in a having a good reputation which in turn is good business. "Someone who comes to see the camps will get the sense immediately that it is a first class facility, however, the facilities do not convey to visiting parents the quality of the programming and the quality of the staff we will hire. So if we put our best foot forward with the facility looking the way it does, and our marketing materials being top quality, it gives the sense that everything else should be as well," he says. Jacobs notes a couple of necessities when maintaining superior facilities. First, full-time maintenance staff is required. "You can't have a single caretaker maintain large numbers of buildings and acreage and expect it to be done well," notes Jacobs. He keeps three full time caretakers at each camp and adds part timers during the summer months. Next, he says that money must be spent to buy and maintain the proper equipment. Having the right equipment keeps maintenance efficient. Keeping with the philosophy of looking good is good business, Jacobs accentuates the upkeep of the lawns and grassy areas. He tests the soil and uses the best fertilizers. Likewise, money is spent regularly to re-surface the courts, like the red clay that is shipped in to cover the baseball fields that provides a professional ballpark look. "You can't cut corners. For instance, we like to paint 20 percent of the camp every year regardless of whether or not it needs it, that way you never find a year that the camp looks like it needs a paint job," he adds. Staying ahead and staying aggressive are top priorities in this business. TLC's capital budgets reflect the nature of forward thinking. Jacobs believes in continuously adding facilities in order to exceed the expectations of parent/customers. For example, last year TLC decided to tear down an acceptable building in order to construct a spectacular visitor and welcome center all the while building a large creative and fine arts facility. "Logic might say that you did not need to do that, but good business sense requires that you make decisions that are going to reach out into distant years to continue a stream of interested customers," says Jacobs. "If you wait until you need changes, it may be too late." Planning ahead and doing things in advance of when you really need them is key. This is also demonstrated in the marketing materials. Every four or five years, a complete overhaul is done to the print media at great cost. To jazz up the brochures, camper packets and more could run between $60,000 and $80,000. Jacobs notes that although videos are important to a camp's marketing tool, he still focuses on printed marketing material that entices. The brochures have to be so good that the parents will want to pick up the phone and call. When making changes to keep up with the times, Jacobs is not afraid of a little controversy. Even though TLC is high in the mountains, he decided to add air conditioning to all the cabins, despite what the traditional camps in the Northeast were doing. He responds, "I don't remember it being written anywhere that you can’t accomplish your mission while the kids and staff are comfortable." As a result, he recalls from his daily personal journal many frustrations, arguments and disputes from the hot days prior to air conditioning. Constant changes and endless innovations require risky moves that only a businessman might be willing to take. Another innovation was beginning the first two, four-week session model in the northeast. Also, over two decades ago, he was one of the first camps in the area to hire full time year round staff and develop staff hiring, evaluation, and bonus incentive programs. When Jacobs looks at camping in the Northeast, he sees it as something that tends to be available only to the higher incomes who can afford it, while the kids who least can afford it need it the most. This is why he began the SCOPE program in 1991, and led a collaborative effort among several camp directors to contribute $30,000 dollars to take 60 kids to camp. SCOPE began partnering with non-profit camps that needed to fill empty beds and could use the financial assistance. His innovative program matches empty bedded non-profit camps with needy kids who can't afford to attend camp. This year, Jacobs and other camping colleagues will raise over $650,000 to send over 1000 kids to camp. Once-unmotivated inner-city kids are now staying in school throughout the year so that they can be invited to camp for that summer through SCOPE. Excitedly Jacobs states, "We have to use what we have in our control to give back and I'm taking this thing for a spin!"